...and from my understanding it's been here for a while. 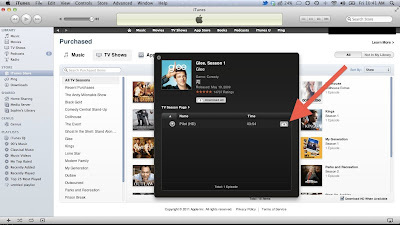 I'm just testing with the pilot of Glee (which was free) and I'm re-downloading it and watching it in HD before it's finished downloading (on my Macbook Air, not my Apple TV 2). Just look in the "purchased" section in iTunes and you can see your TV Shows that you have purchased as well as your Music/iBooks/Apps (Still no movies) etc. So, if this new "Replay" feature that the tech pundits are beating up (yet many seem to have failed to mention this current feature) is really something that will be "Launched" it's going to be something pretty different to what we have now.